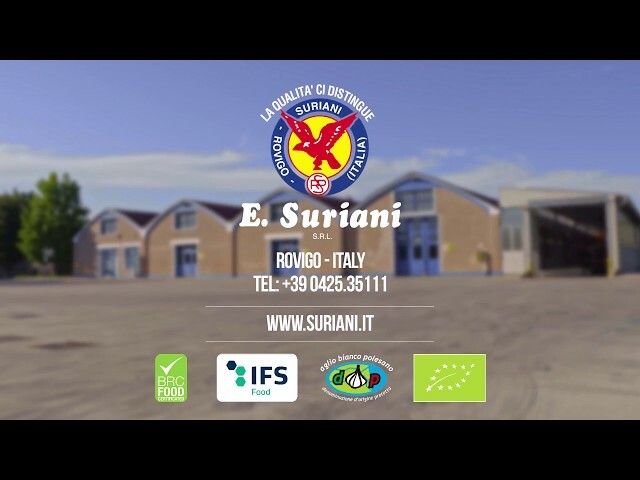 The Enrico Suriani Srl company has been working for 4 generations in the production and marketing of garlic and onions. It is one of the most historic Italian companies and at the same time one of the most experienced reference points for customers, boasting over 100 years of experience. PDO WHITE GARLIC OF POLESINE. 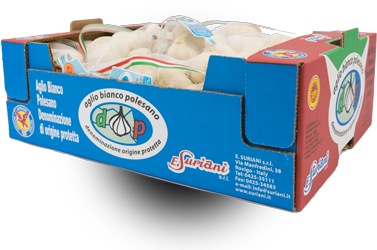 The PDO White Garlic of Polesine is characterized by bright white bulbs and by its high shelf life. Each phase of the production process is monitored, ensuring the traceability of the product. The PDO White Garlic of Polesine can boast the PDO certification only if it respects a crop rotation of at least 3 years. White Garlic of Polesine can boast the PDO certification only if it is produced according to a strict Product Specification. 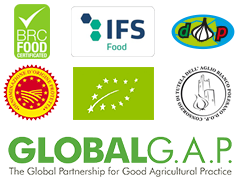 Would you like more information about thePDO White Garlic of Polesine? Visit the dedicated page! From 8:30 a.m. to 12:30 p.m. - From 2:30 p.m. to 6:30 p.m.
Saturday: From 8:00 a.m. to 12:00 p.m.